To keep things simple, we will begin by using the official Bridge library example sketch from here. After this sketch is installed, you can control the Arduino’s pins by entering specific URLs in a web browser. You need to set REST API access to open in the Arduino Yún configuration webinterface in order for this to work. http://192.168.1.33/arduino/digital/13/1 will issue a digitalWrite(13,1). And since pin 13 is connected to the on-board LED, the LED is lit up. http://192.168.1.33/arduino/digital/13/0 will call digitalWrite(13,0), and thus disable the LED. http://192.168.1.33/arduino/analog/13/128 results in analogWrite(13,128), which will dim the on-board LED to about 50% intensity. 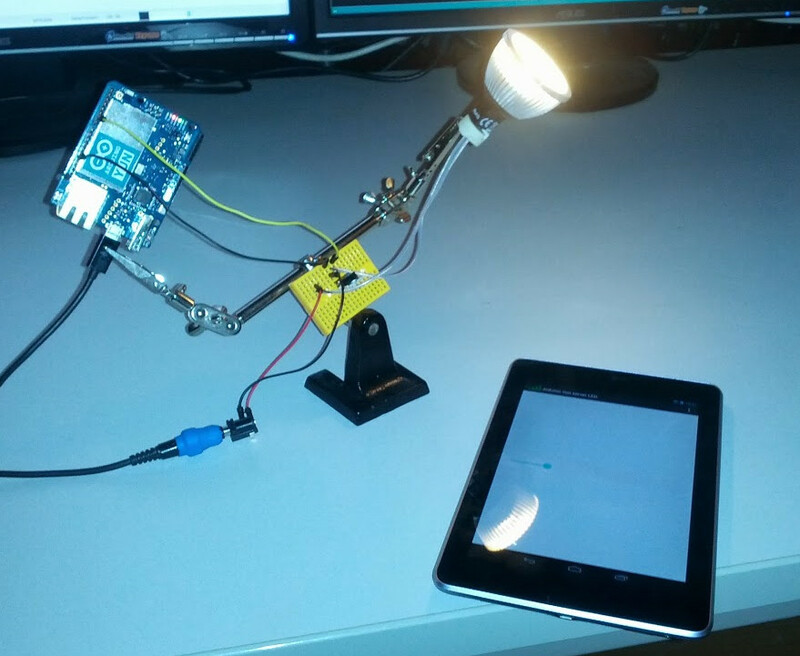 In the following Android application, we will use this URL to dim the LED accordingly. On the other hand, you can read the state of the Arduino’s pins. http://192.168.1.33/data/get/D13 will return a JSON string, which can be parsed to get the appropriate value. Actually, entering the above URL will not directly read pin 13. It will simply try to return a key/value pair in the datastore with key = D13. By studying the Arduino sketch, you can see that there are various occurences of Bridge.put(key, String(value)). This is used to update the datastore on the Linux environment. Using formatted URLs in this way is also known as Representational state transfer (REST). The Android part is rather straight forward. We will use the above URLs to write and read values on the Arduino. Some care must be taken since this involves networking. Therefore we must use separate threads, but we’ll get to that later. Let’s start a new Android project by adding a SeekBar and a TextView to our main layout. The SeekBar slider will be used to set the brightness of the on-board LED. The current value is read back from the Arduino and displayed in our TextView. Since calling the URLs will be done in a different thread, we need some form of inter thread communication. Synchronized, wait and notify come to mind, but there are – at least in my opinion – easier to grasp mechanisms. For instance an ArrayBlockingQueue which is basically a FIFO queue that can safely be filled and emptied from multiple threads. 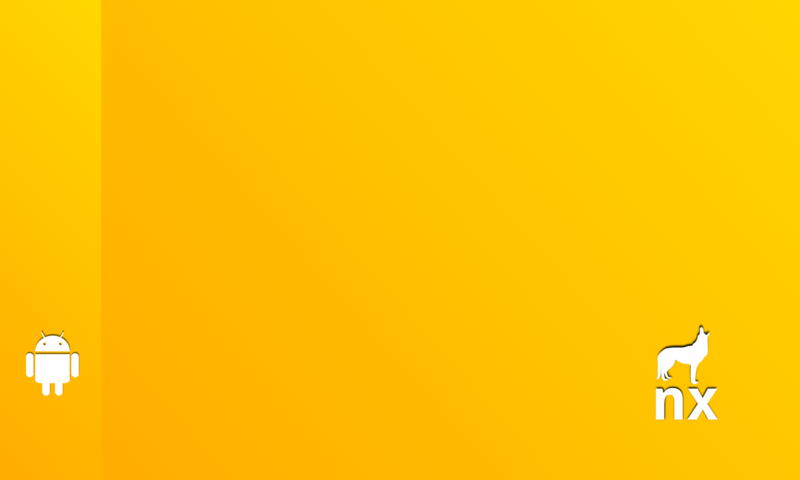 So let’s create an ArrayBlockingQueue and fill it with values whenever the SeekBar slider is moved. For networking, we will use two separate threads, one for sending values to the Arduino and one for reading values from the Arduino. Here is the code for the sending thread. Full source code including both threads is available at the bottom of this post. Now we only need to start the threads and we’re golden. A good practice is to start network threads in the Activity’s onStart handler and stop them in the – you guessed right 😉 – onStop handler. After all, one usually doesn’t want to waste resources when the Activity is hidden anyways. The full Android and Arduino Yún REST example can be downloaded from here. In the network thread on the Android side, a socket is created connecting to the Arduino. Furthermore, an output stream on that socket is opened. Within a loop in the network thread, values are taken from the queue and written to the acquired output stream. We are using an led spot rated at 12V DC/AC such as this one. This component can be connected directly to a 12V power supply without the need for a current limiting resistor. If you use a standalone led, you will most likely need additional circuitry to limit the current flowing through the led. An N-Channel Mosfet such as the RFP30N06LE is used to switch the led spot on and off. If the voltage at the gate is above 2V, a current is flowing from drain to source, and thus the led is on. If the voltage at the gate is 0V, no current can flow and the led is off. In the on-state, there will be a slight voltage drop across the Mosfet, so the total voltage across the led will not be the full 12V. However, this is usually not a problem, since the led will still work well with lower voltages (even with only 9V the led spot will shine brightly). 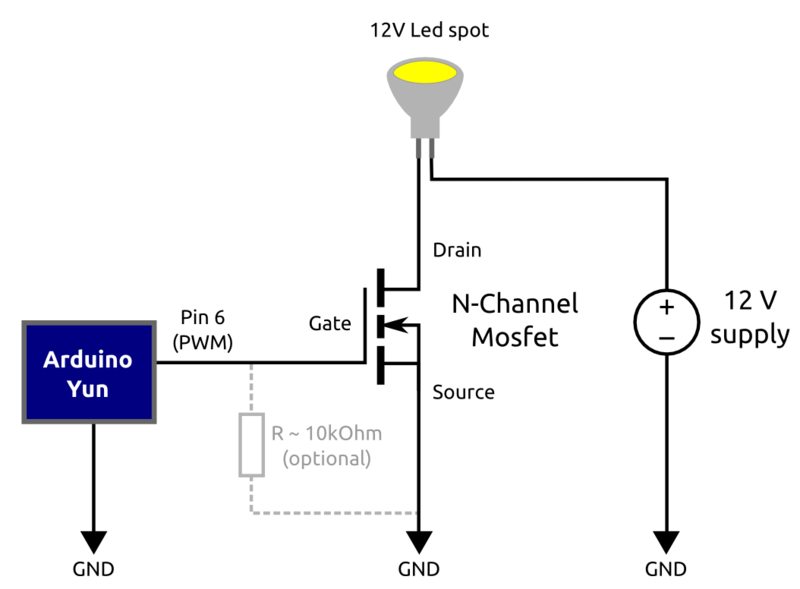 By connecting a PWM output to the Mosfet gate, it is possible to dim the led. What happens is that the led is turned on and off many times per second (default Arduino PWM frequency is around 500Hz). Optionally a pull-down resistor could be connected between Gate and Source. This will make sure that the led is off when the Arduino is disconnected. It is also a good idea to mount a heatsink to the Mosfet. Here are again all the source files for download. Really great source code, I had a lot of troubles with sockets and this sample works like a charm and really easy to understand. I had a problem when trying to use the app with the Yun through the Wifi as mentioned but the Yun didn’t respond at all although it worked well with the HTTP. Can you please help? Sir , i am doing an android home automation project ..i would like to know is it possible for android to communicate with raspberry pi(acting as server) which is connected to PIC controller (through wi-fi) which is in turn connected to a devices. Would be cool to combine this with MySenosrs which uses the nRF24L01 to create a mesh-network with arduino (or raspberry) as a Gateway, Relays and Sensors. Could you post the apk of the two examples. so I can install them on my android Phone. I am not so good in eclipse/java. Awesome write up and tutorial! And thank you for the code as well. Is there something in your sketch that could be causing this? to figure out how the interface works. Can you please post the apk file for the Android application. Becouse I can’t produce my own applications. Sorry for not replying earlier. Posting the APK does not really make a lot of sense, since the Arduino’s IP address is hardcoded in the source code. The reason for this is that you probably want to be connected to your Wifi with your Android smartphone, so that you can use the internet as is, and also have the Arduino in the same Wifi network. Depending on your Wifi router, the IP address is different of course (a better approach would be to let the user enter the Arduino’s IP address within the Android application). Depending on your operating system, you may need to install drivers for the USB connection to work. Also make sure, you have ADB debugging enabled on your Android device. 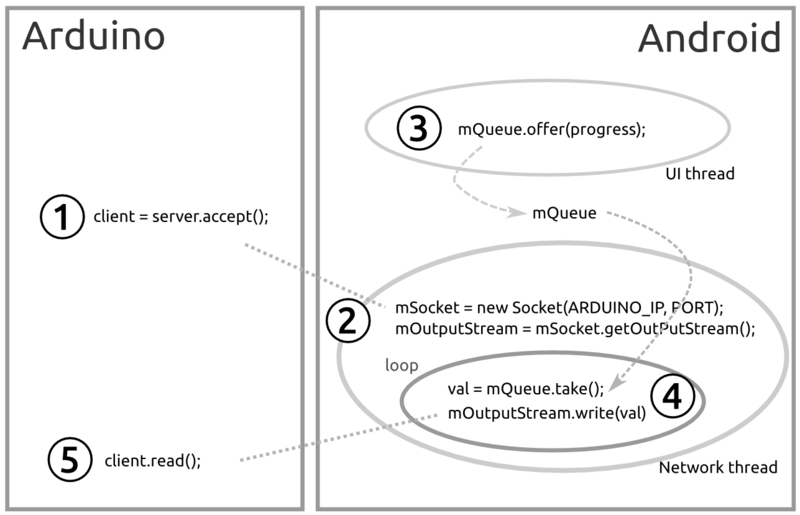 please teach me how to send data from arduino yun to adroid using websocket. nice code!! I am doing something similar as the last (socket style) code you explained. In my project however I also want to write some data back to the android device, but I can’t get it working.I can write to the arduino, and than send a reply, but I want to be able to write and read at both sides, at any time. First of all, thanks for sharing your project. I canÂ´t Open the “.tar” files that you up here. Can you please tell me how I can handle such files? It’s great to see that I am not the only one who is crazy about such crazy things like LED bulb management via arduino! I wonder if those bulbs have any driver inside or they are as simple as just 4x1W power LEDs placed on a heatsink put into MR16 lampholder? It is interesting because in case of regular LED bulbs with voltage 220V AC they are always have a LED driver inside the lampholder which prevents using PWM technique properly, as I understand. Super! Thanks a lot for sharing your work. Referring to your code, I created an Android app that controls 4 devices on different I/O pins of Yun.